I noticed this last night. 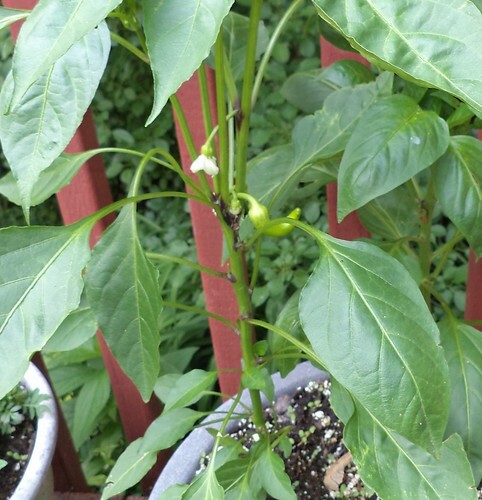 This is the sweet banana pepper plant. I'm so excited. We do need to knock off with the rain and have some warm, dry days for it to fill in.